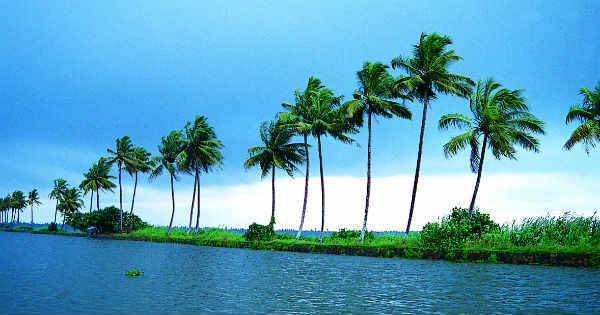 Kerala is the southwestern coastal state of India. It is a narrow stretch of land which is about 300 km in breadth and the north-south stretch is a little over 400 km. It is bordered with the Arabian Sea. Most of the time, this state remains under the coastal influence. Presently, a trough is extending from Lakshadweep region across Karnataka and is further travelling to the southern parts of Madhya Maharashtra. This feature is expected to sustain for at least two days or so. Thereafter, there are chances of wind discontinuity coming up. Starting from today and till March 29, thunderstorm activity would be a sight over Alappuzha, Trivandrum, Kochi and Punalur. 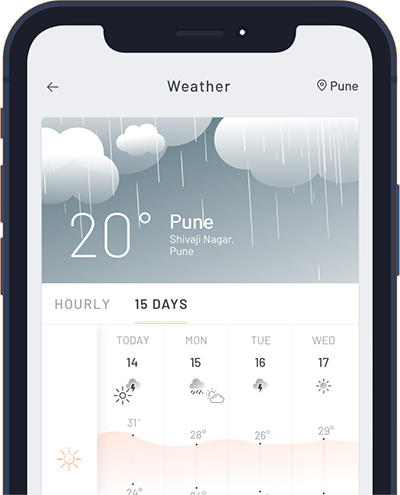 The thunderclouds would develop during afternoon hours and last till evening, usually when the temperatures are high. Days start with sunny bright sky and as soon as it gets triggered with heat, thunderclouds develop. The trough is also acting as a catalyst to this feature. Kozhikode, Kottayam and Kannur also stand a chance to witness thunderstorm with light rains. For thunderstorms to develop, warm and moist air is required. The warm air at the surface creates an unstable environment for the air to rise rapidly. The moisture in this warm air cools and condenses into a cloud, so higher the moisture content and warm air at the surface, the more towering cumulus clouds will form. The thunderstorm activity occurs mainly on two accounts, one is the trough and the other one is wind discontinuity. Wind discontinuity is the confluence of winds coming from both land and sea. During pre-monsoon, this is a very common feature, the discontinuity has an oscillating nature, sometimes it is over Kerala and at times over Tamil Nadu. In the past few days, Kerala has been experiencing high temperatures wherein the mercury has crossed the high 30s. Yesterday, Punalur touched 39.5°C almost nearing the 40°C mark. Similarly, Kottayam recorded 37°C. Since, it is located at the extremes, it is quite possible that it won’t cross 39°C. In the last two days, the state has been witnessing some heatwave conditions. During the month of March, it is rare that the normal exceeds 40°C. The all-time high for Trivandrum is 37.7°C recorded in 1988. Whereas Kochi recorded 36°C in 2014. Currently, entire southern peninsula including Kerala is rain deficit. As on March 25, Kerala is deficient by 40%. However, Coastal Andhra Pradesh and Kerala are still better performers.